Stand out from the ribbon magnet crowd by expressing your support of breast cancer awareness with a pink antenna topper. Buy this Breast Cancer Awareness Pink Ribbon Antenna Topper. 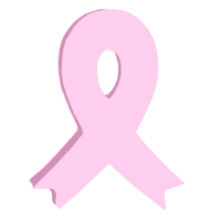 This pink ribbon antenna topper measures 2" X 4" and can be placed on your car antenna or hung from your rear view mirror to show support for Breast Cancer Awareness and Research.